Research and development of extracorporeal shock waves originates in the 1950s. It was when during the Second World War scientists were interested in the fact that as a result of deep-sea shells explosions, people, who were considerably distant from them, had damaging of the lungs, but there were no external injuries. The world’s first shock wave generator was invented in the same 1950 year by Raber Frank (Frank Rieber), who pursued the idea of creating a pressure pulse generator of focused impulses to transfer these ones into the depth of human body and, as a result of the brain tumors treatment without surgery. 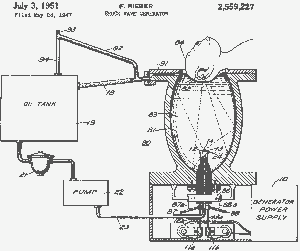 Although the Frank Reiber`s idea failed, creating of a SWT generator at that time was a revolutionary event. 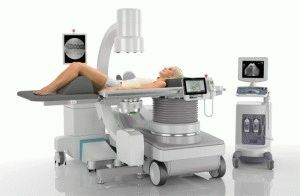 In the course of various experiments, it became known that the shock waves are powerless in the treatment of brain tumors, but extracorporeal wave generators and various systems, which use the technology of shock waves, nowadays they are being actively used in various branches of medicine. 30 years later the first confirmation of the efficacy of extracorporeal shock wave therapy came in the urinary stones fragmentation in the human body. So shock wave therapy combined the principle of using an ultrasonic pulse to the generation of acoustic energy outside the human body and its subsequent focus on non-invasive method of urinary stones. In the 1980s, scientists have repeatedly conducted experiments on dogs with implanted human kidney stones. Nowadays, thanks to the intensive development of SWT, with the help of focused shock waves not only amenable to treatment kidney stones, and stones which form in the gallbladder, pancreas and salivary. The study of focused shock waves at the time was not completed. During examining the new direction was born in SWT, it was using of radial shock waves, which have not destructive, but rather creative property. 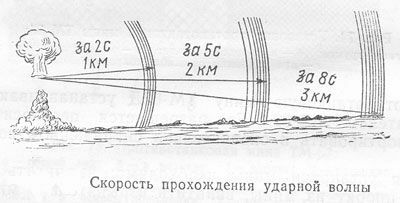 The radial wave, getting into the fabric of the human body, gradually dissipated, and thus a change in its physical impact. While the first patients, who experienced the healing properties of the shock wave, were sportsmen. They were able to evaluate the effectiveness of shock waves in the treatment of injuries, which were suffered in various competitions and other events. I`d particularly like to point out the fact that today and later shockwave therapy was virtually the only non-invasive treatment of tendon rupture, muscle strains, sprains and other occupational injuries that accompany athletes` working life. Initially, the apparatus, which were used in the shock-wave therapy, resembled a lithotrite. Older brothers had borrowed not only the operating head, water cooling, a fixed paw. In the 1990s, the first scientific works began to appear, sanctifying fracture treatment delayed consolidation, as well as frozen shoulder syndrome shock waves. In fact, it was the beginning of the evolution of treatment extracorporeal shock waves: devices equipped with less bulky generators of shock waves and gradually decreased in size as a whole. Applicators were big enough it made the application of shock waves on the small joints difficult. However, this problem was solved with the help of mounted and ultrasound machines. By the early 1990s already had experience with lithotripters in the treatment of urolithiasis. It is worth to notice that the first such devices were extremely bulky and expensive, but in the development of SWT they gradually acquired a compact and relatively inexpensive. 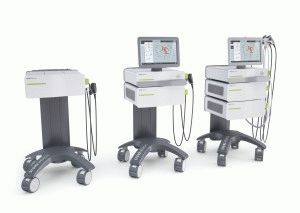 As a result, the spectrum of application radial shock waves generators was also expanding rapidly. Today experts in the area of shock wave therapy without a doubt can confirm regenerative effect, which a shock wave has, when it enters into the human body. 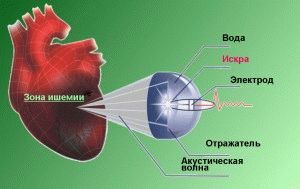 Years of experience in the application of shock waves in various areas of medicine, and numerous experiments have shown that the shock wave therapeutic has not only the effect of calcification`s disappearance (old sites of inflammation, eventually transformed into stones) and formation of fibrous tissue inside, but also contribute to enhancing the capillary network (in medicine this process is called angiogenesis). Today, shock waves allow to approach the treatment of osteoarthritis, herniated discs, degenerative disc disease and many other diseases in a completely new way. This was the reason for the rapid shockwave medicine progress. 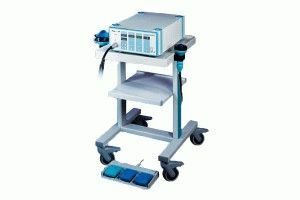 The first portable focused shock wave therapy apparatus was introduced in the early 2000s. It was Richard Wolf Piezoson apparatus 100, which had a small size and was relatively affordable. Talking about the features of this unit, it should be noted that due to its size it improved even fits on a standard manipulative table. Also Richard Wolf Piezoson 100 distinguished by the absence of the manipulator arm and ultrasound machine as a supplement. To adjust the depth of the wave penetration into human tissue, there was used a metal rod, which stretched the elastic membrane. Nowadays, a trendsetter in designing SWT machines can safely assume a company Storz Medical (it takes 60% of the world market sales of SWT aids), which has made a real breakthrough in the field of shock wave therapy. Storz Medical experts not only used modern LCDs and deployed the menu in their apparatus, they also greatly expanded the range of shock wave therapy using in the area of orthopedics and traumatology due to using of radial shock waves. Today, the company Storz Medical is the only company, which offers algorithms (methods) of procedures for a particular disease. Modern devices, which are used in the shock-wave therapy improved not only in terms of the interface – SWT aimed at improving the shock wave development as a whole. In addition, experts, who applying SWT in their practice, mostly doing exactly improvement of generators and guidance systems. Due to the ongoing evolution of devices it became possible to avoid a large number of invasive surgeries, which required immediate surgical intervention into the human body, which were committed by damaging of the skin and mucous membranes. Specialists of Medical Center “Awatage” use the unit of the Swiss company Storz Medical «Masterpuls MP 200″ in their practice, which today is one of the most modern ones. Due to the design of this machine we can manage not only the intensity but also the depth of the shock waves` impact with maximum clarity localization of the treatment area. It is important to give consideration to the problem of the passaging of pulsed acoustic waves, which are not accompanied by heat and the formation of high-density electromagnetic field that allows the use shock waves, even in areas where there are metal structures. Speaking about the aesthetic medicine, the unit Masterpuls MP 200 operates using biomechanical stimulation (BMS) technology D-Actor®. Such a device is used to treat most of the problems associated with overweight (cellulite, lipodystrophy, and so on. D.). Such effect is achieved due to the property of shock waves to increase the permeability of cell membranes while avoiding the destruction of the cells themselves. Shock waves stimulate fat metabolism and lipolysis, microcirculation and lymphatic drainage, that contributes to the rapid breakdown of fat and remove it from the bloodstream. Thus, we can make a conclusion that the list of indications for using SWT constantly expanding. Nowadays, the method of shock wave therapy is used for successfully treatment of the musculoskeletal system diseases, coronary heart disease, erectile dysfunction, prostate, Peyronie’s disease, and many others. 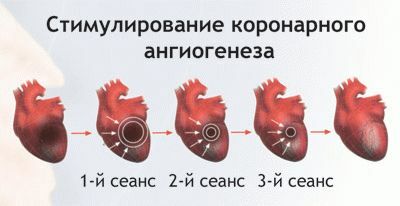 Shock wave therapy is by far one of the most effective methods of non-invasive (penetration into the body is produced using techniques that don`t allow to damage the skin and mucous membranes) treatment of diseases in the area of cardiology, orthopedics, traumatology, neurology, dermatology, urology, aesthetic medicine. The method of treatment of diseases in these areas is characterized not only by its high-efficiency, but also the fact that the treatment is carried out without the using of medication. Speaking about the individual cases, it is important to note that shock wave therapy is practically the only effective treatment (such as “heel spurs”, scapulohumeral periarthritis, “tennis elbow”, etc.). Also, the treatment with using the method of shock wave therapy often gives the best results in the shortest possible time! Before discovering shock wave therapy, it is necessary to understand the essence of this method. Shock waves (SW) are the acoustic waves in the spectrum of the infrasound, which have a frequency lower than that which is able to perceive the human ear. Shock waves are not similar to the sound waves emitted by other sources, because of their origin; they are characterized by higher amplitudes of energy and low pulse duration. Shock waves spread quickly in the soft tissues without damaging them. Thus, the shock waves have a therapeutic effect on the bone and cartilage tissue, as well as calcification, ossification and other acoustic dense formations. Due to the penetration of shock waves in a “hotbed of disease,” there is not only the restoration of the natural metabolism, but also to start the recovery process and cell renewal. Shock waves also contribute to the improvement of metabolic (passing in every living organism to maintain its viability) processes in the tissues. Germination in the field of new procedures of microvessels (neangeogenez, which is proven by clinical studies Mariotto, Italy, 2005; Oi, Nishida, Shimokawa, Japan, 2008), that improves tissue nutrition and persistent pain reduction.